The Willow Suite is a luxury self-contained apartment within this beautiful listed building on the edge of the river Welland. The apartment offers a luxury bed, pristine bathroom with a walk-in shower and a spacious living area to relax, cook, dine, watch TV and have your own home-from-home whilst visiting historic Stamford. The living area also has a deluxe sofa-bed allowing for two more guests to share the apartment as your group enjoys all that Stamford has to offer. 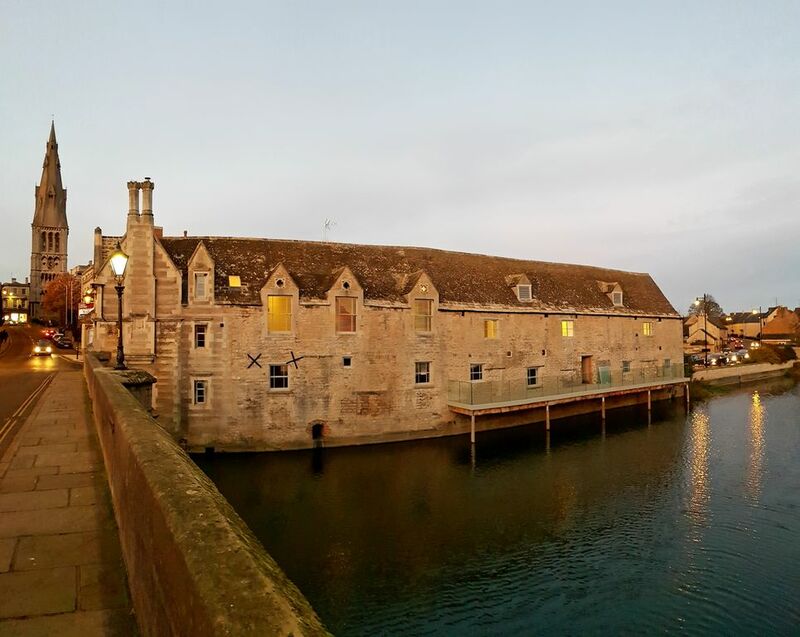 These beautiful lodgings, set in the centre of Stamford right on the river’s edge, give you the views, style and comfort to enhance your experience of this historic town recently voted as the best place to live in the UK. Step outside and you’re immediately in the heart of the town, just a few paces from the river, meadows and vintage shops. Large walk-in shower, toilet and basin and heated towel rail. Towels and toiletries provided. Enjoy a large open-plan kitchen, complete with cooking and cleaning facilities and utensils, all mod-cons including a dishwasher, washing machine and large fridge freezer. Stunning Apartment in a great location. We had a lovely stay in Stamford, the apartment was modern but had original features, clean, cosy and warm. It is perfectly located in the heart of Stamford, just a short walk to everywhere we wanted to go. Loved it!